It’s Spring! The days are getting longer, and as the strength of the sun gets more powerful, the fabulous fynbos on the Cape Point Route shows her best colours. It’s a glorious time of year to be out celebrating our natural wonders – it’s definitely the time of wildflowers and whales! Fynbos is a term that means fine bush and is a unique Plant Kingdom relative to the vegetation of the rest of Africa and the world. 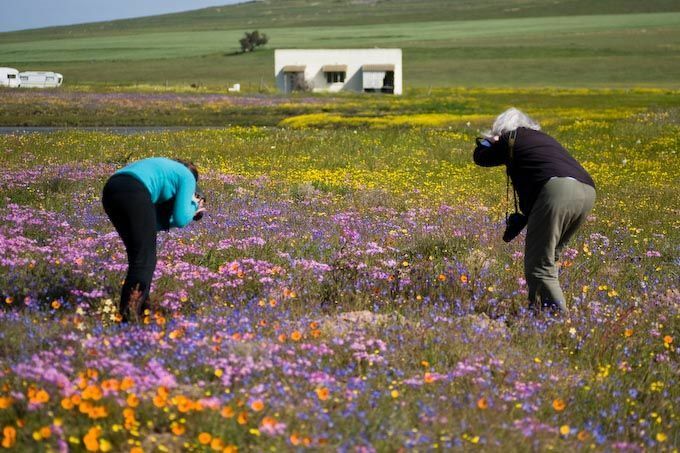 More than 9000 individual plant species are found in this small area of the Western Cape that represents only 0.04 % of the earth’s surface. Nearly 6000 of these species are endemic (found naturally only in the SW Cape). 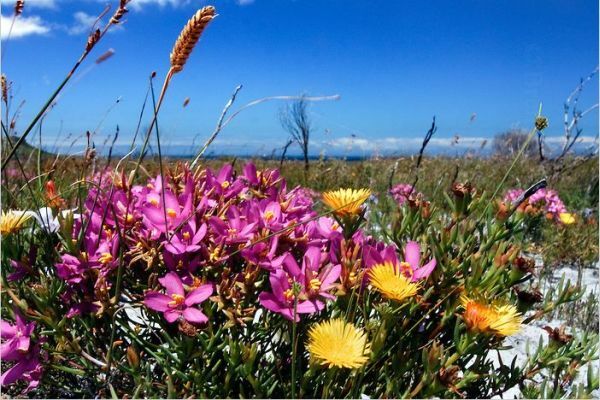 As a result the Fynbos region has earned the title of the ‘Cape Floral Kingdom‘ from the international botanical community. It is one of only 6 floral kingdoms in the world and was declared a World Heritage Site by Unesco in 2004. 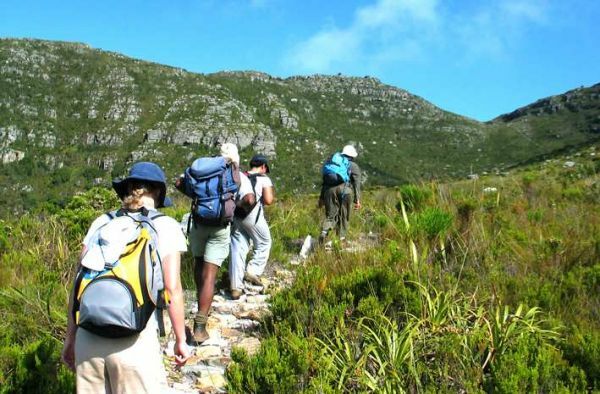 The Cape Peninsula alone has over 2500 species, which is more than occurs in all of the British Isles. wiry reed like plants (restioids). The restios are the diagnostic group in the fynbos and vegetation without restios cannot be fynbos. The Roads leading to and from Cape Point fill up with spring flowers in bloom. Don’t get too distracted by the incredible sea views as there are daisy carpers in unexpected corners filled with patches of little white daisies. Pink and yellow daisy carpets decorate the roadside as well. Hot spots: Kommetjie, Scarborough, Red Hill Road, Glencairn beach and Muizenberg as you head out onto Baden Powell Drive. Flowers are best viewed on Sunny days when the flowers lift up their beauty and show their faces to the sun! Get close and look at their delicate features – they are not called fine bush for nothing! Take a Drive: follow the Cape Point Route and keep your eyes peeled for whales as well as flowers. Click here if you visiting and need to rent a car! Many of the guesthouses and accommodation establishments have beautiful gardens which are at their most vibrant in Spring. 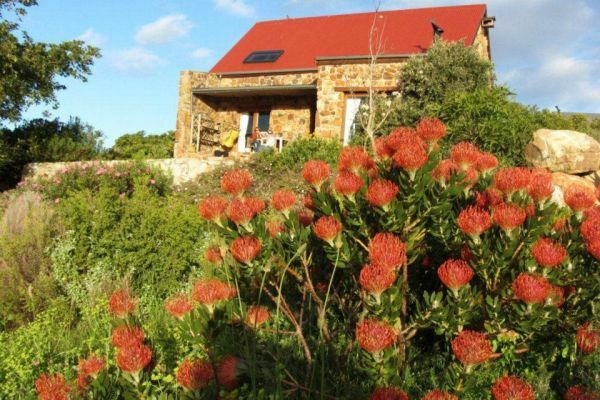 Check out these gorgeous places with stunning gardens filled with fynbos wonders in Spring. 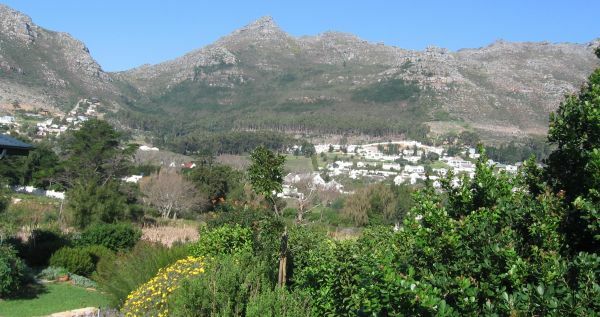 Noordhoek Cottages on the Hill | Noordhoek. Join the spring-volution… share your fabulous fynbos flower photos with us. 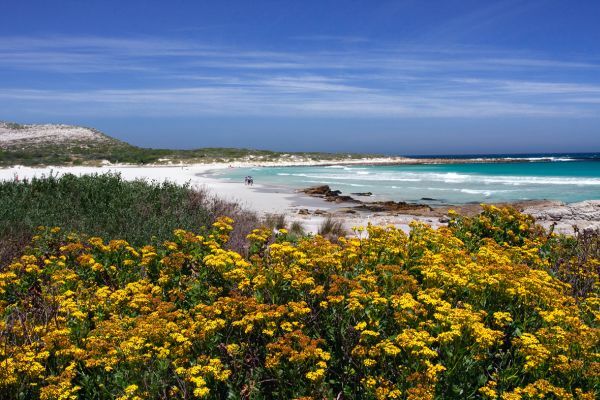 This entry was posted in Uncategorized and tagged Cape Fynbos in Spring, Cape Point Spring Flowers, Cape Town, Fabulous fynbos, Flowers in sping, fynbos in the Cape, Spring Cape town, Spring flowers Cape Town. Bookmark the permalink.